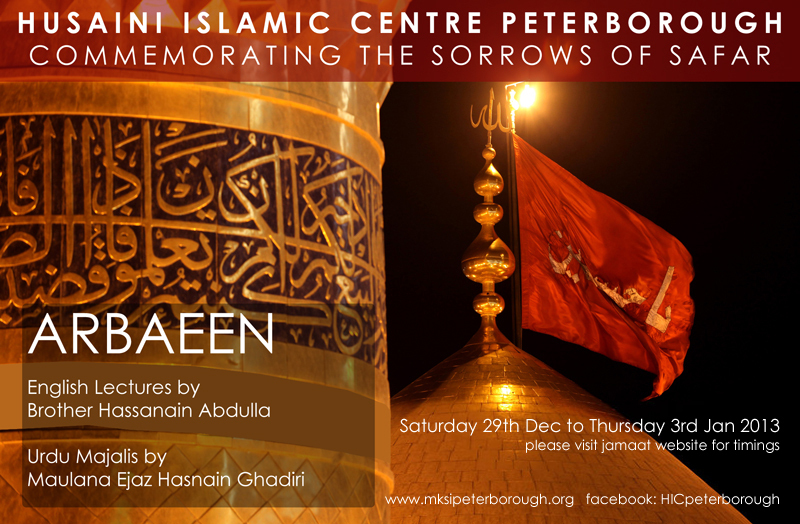 Husaini Islamic Centre Peterborough Arbaeen Programme: English Lectures by Brother Hassanain Abdulla. 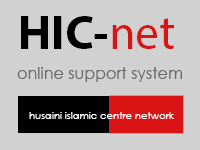 Urdu Majalis by Maulana Ejaz Hasnain Ghadiri. 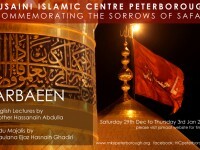 Programmes will take place from Saturday 29th Dec 2012 to Thursday 3rd Jan 2013. Please refer to the monthly planner for programme timings.